If you live in Connecticut and want to switch to solar power, you’re in a great position. The state and local governments have been good at embracing alternative energy, making it a viable option. Generating electricity using the sun’s rays is an excellent way to keep utility bills low. In other words, having solar panels installed on your house means you’ll save some serious cash. To help you realize this dream, our recommended Connecticut solar panel installers are ready to assist you with becoming more energy independent, which will ultimately improve your financial situation as well. You can get a solar quote here. Why Solar Power in Connecticut is a Great Idea ? Thanks to the Renewable Portfolio Standard (RPS)the utility providers in Connecticut are forced to support homeowners who want to generate their own electricity by installing solar panels. Under RPS, the providers must get a minimum amount of their retail electricity from renewable sources. What this means for you is that the cost of solar systems in Connecticut is actually lower, making now a great time to finally go solar. An RPS carve out is a preset amount of the total energy produced in a state that has to be generated from a specific source, for example solar panels. The state of Connecticut hasn’t set a specific carve out for solar power generation. Despite that fact, Connecticut is still highly dedicated to forging ahead with clean energy initiatives. Even though no solar carve out exists, the growth of solar power usage in the state is being drive by the Connecticut Clean Energy Fund. Right now is a great time to jump on board as the government is pushing to get even more people to start generating their own electricity. It’s getting pretty expensive to purchase electricity in Connecticut! Prices have climbed for 2015, with the price for a kilowatt-hour of electricity coming in at about $0.12.629, which is quite high. That jump in electricity rates means that many Connecticut residents are getting squeezed, so it’s not a shock that people are looking for just about any practical way to cut down their utility bill. Of course, a solar system is an excellent way to save money. When you save money on a regular basis, you can use it to get out of debt, save for a rainy day, prepare for a nice retirement, or reach whatever other goals you might have. When you’re a homeowner in Connecticut, installing a solar power system is one way to help you make those dreams a reality as you reap the utility savings every month. Considering that electricity rates seem to only be going up in the long-term, using renewable energy sources is an investment that will provide more savings in the future. You can speak with one of our recommended qualified and professional solar installers today, helping you learn exactly how much money you stand to save each month. Sadly, some people hold off on purchasing a solar power system for their house because they somehow think that they have to save up all of the money for a system first. What they don’t understand is that leasing a solar power system for their house can be a smart financial move, considering that it could actually help them save even more money than if they take a few years to save up and pay for the system with cash. What that means is that by not leasing a solar power system homeowners actually get a worse return on their investment. Instead of falling into that trap, take advantage of a 0 money down offer to get you into a home solar power system. Moving forward with leasing a system can provide you with an easy way to cut back on expenses and save more money. You need to remember that the savings from financing a solar system don’t always roll in immediately. Being patient is key, because the savings have to stack up over a longer period of time, making going solar an excellent investment you won’t regret. Some people have financed a solar power system that starts paying for itself from day one, making it pretty easy to see how it’s a solid investment. Just remember that the savings can come from the fact that the interest rate on the loan might be fixed, while electricity prices keep increasing. When compared to a traditional setup, a homeowner in Connecticut that installs a solar power system can save half or more on their electricity bill. Most homeowners are able to recover the cost of an installed solar system by about 20 years after they start using it. Of course, just how much a person saves really depends on the exact details of the system, which is why talking to a professional solar installer is a great idea. While you might think the interest portion of a solar system’s financing is steep, the fact is that electricity prices will climb higher, making it a good long-term strategy. Considering how quickly electricity prices are rising, you won’t need to wait too long for the fixed interest rate on your loan to be passed up by the utility rate increases for Connecticut. The Hartford Courant recently highlighted a report put together by The Acadia Center, which is an energy policy group located in New England. They concluded that the average home solar system, including panels and other necessary hardware, is worth about 20 to 26 cents per kilowatt hour. The exact amount depends on various factors, including which direction the solar panels face and any nearby obstructions to the light. Compare that to another report from the Courant in 2012, which detailed out how one Connecticut resident installed a system for about $25,000. After incentives and rebates, that amount shrunk to just over $13,000. Those same people, according to the Courant, are saving about $7,500 each year on their utility bill, meaning in a short amount of time their solar system will have paid for itself. Every situation is different, so you could see different results. Talk to one of our recommended professional solar installers to find out just how much you stand to save by installing a system on your house. Pretty much nobody is okay with the size of their utility bill. You can do something other than just complain. Now is the time to stop paying so much for your utilities each month! The really great thing is that the government provides other benefits to Connecticut residents who go solar, loading you up with even more savings. Homeowners in Connecticut are in a great position to take advantage of incentives designed to help them go solar. The state provides a nice rebate for all equipment used in a system that is up to 10 kilowatts. 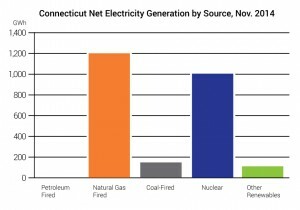 For each kilowatt the system is designed to produce, Connecticut will give $675 back. That means you can get up to $6,750 in rebates. On top of that, if you have solar panels that were built in Connecticut, you get to enjoy a bonus 5% rebate. If that’s not enough, the state of Connecticut offers rebates to residents who use solar power. The typical user stands to save about $7,750 during the life of their system, which is a pretty good chunk of change. At the moment the state of Connecticut doesn’t provide homeowners who go solar with a tax credit. That could change, but in the meantime residents can still take advantage of the federal tax credit program, which is a sweet deal. With the federal government’s Residential Renewable Energy Tax Credit, any homeowner who goes solar can claim a tax credit of 30% of all qualified expenditures that relate to installing the solar power system. Everyone loves to save taxes, so going for this incentive is a no-brainer! In the state of Connecticut the different municipalities can provide a property tax exemption for solar power systems. The benefit can last for as many as 15 years, making it a great advantage you can profit from. It means that you don’t have to pay any taxes on the value the solar setup adds to your house, even though other improvements would increase how much you pay to the government. Every time you buy something in Connecticut, you’re going to pay a 6.35% sales tax. Everyone knows that food is exempt from the tax, which is nice, but what’s even better is that your purchase of a solar power system is exempt from the sales tax as well. That means you spend even less than you’re probably thinking. Is it worth investing in residential solar energy in Connecticut? Plenty of Connecticut residents wonder if going with a residential solar energy system is a good financial investment or not. While each homeowner’s situation is obviously different, virtually every time a solar system is a solid thing to invest your money in. Depending on the details of your arrangement, you might see money coming in right away from the solar system. 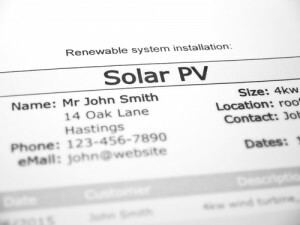 In most cases, leasing a solar power system carries a term of around 20 years. You need to be aware that financing the system could mean you don’t qualify for some of the incentives attached to going solar, such as the tax credits and rebates. Also, you can’t depreciate the cost of the solar system for your annual tax filing. Despite these issues, there are some clear advantages to leasing a solar power system. While each person’s financial situation is different, many people find that they can cut their monthly utility bill by as much as half. That means more money left over for other, more important things in life. Depending on your lease agreement, you might not even have to do any maintenance on the solar panels, making the situation that much easier on you. Another huge advantage with leasing a solar system versus buying one outright is the possibility that you can get solar with zero money down. When the lease comes to term, you can then decide if you want to option to buy the solar system or not. You need to be aware that in most cases you do need excellent credit to qualify for the lease. Can I lease the system in Connecticut? Should I buy instead? A number of different factors are in play that can affect whether buying versus leasing a solar power system in the state of Connecticut is a better deal. The factors are your exact location, your utility company, your personal financials, and more subjective factors which is why the best thing you can do to get a handle on it is to speak with one of our recommended local solar installers near you. They can provide with an exact professional assessment for your specific needs. What about Connecticut Net Metering? Thanks to Net Energy Metering, homeowners can save even more money on their utility bill. When your solar power system generates more electricity than you can consume, you accrue what’s called Net Excess Generation or NEG. The amount of your leftover NEG from each month rolls over to the next. If at the end of the year you still have NEGs, the utility actually has to pay you for them, giving you a financial incentive to conserve electricity. To participate in Net Energy Metering, your house must be connected to the grid. There are some other requirements you must meet, which the utility company specifies. The credit homeowners you get from selling off the electricity can be applied to your bill, helping shrink it and putting more money in your pocket. If you’re even slightly curious about solar power in the state of Connecticut, you should find out more information so you can make an educated decision about how to move forward. Now is a wonderful time to jump on board with renewable energy, thanks to the many incentives outlined above. Not only is installing solar panels on your house the ecologically responsible thing to do, it’s also a solid investment. You’ll cut down how much you rely on fossil fuels, which in turn reduces air pollution in the state. A solar panel doesn’t generate emissions, and they don’t destroy ecosystems by damming a river. After a while you’ll hardly even notice your solar panels are even there. To learn more about the details of how much a solar system will cost in Connecticut, plus how it will be installed, our advice is to talk to a local solar installation company near you.